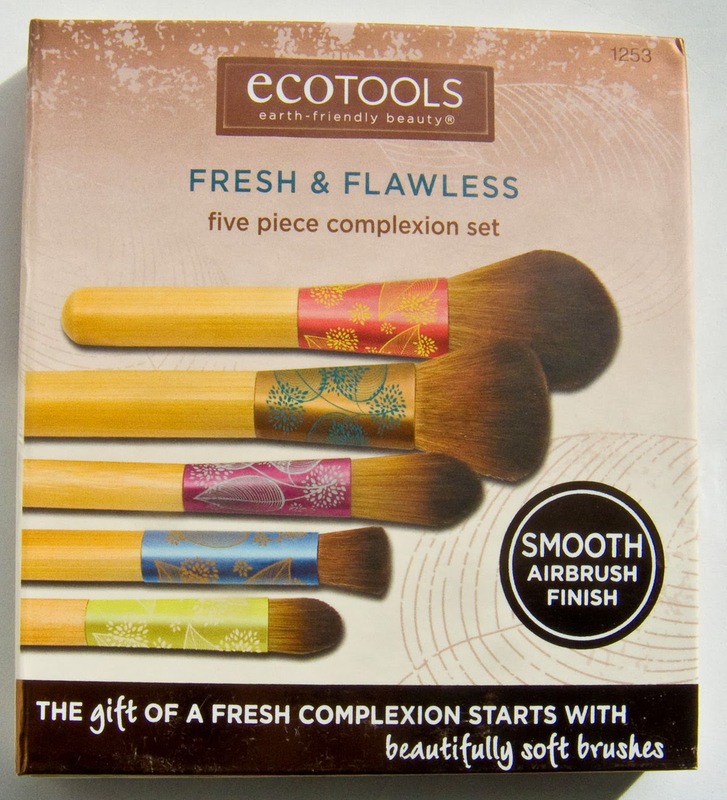 This set retails for $14.99US or $14.99CAN on iherb.com. 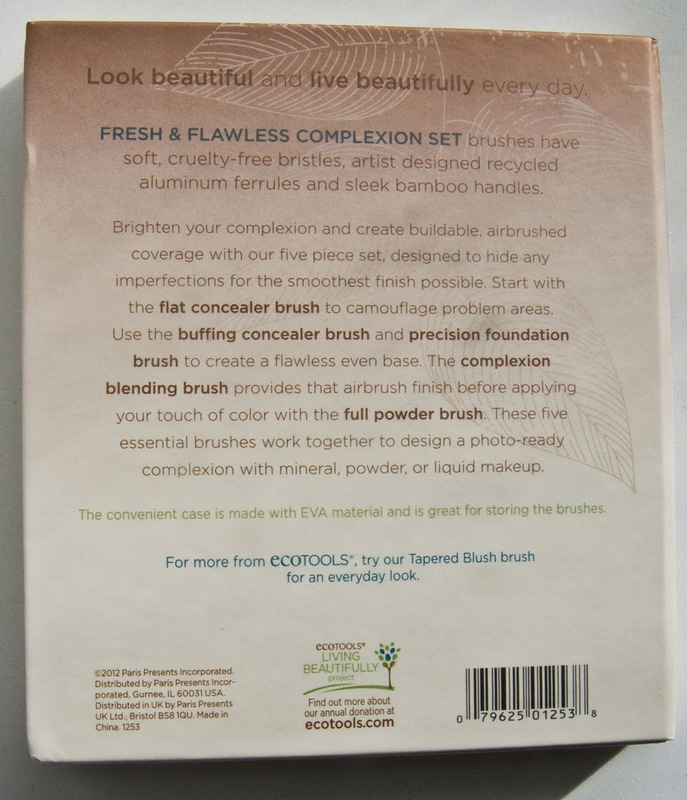 Flat Concealer brush is a standard filbert brush style. It is tiny like smaller then a nickel width! The tips are soft and the fiber are smooth for cream products. 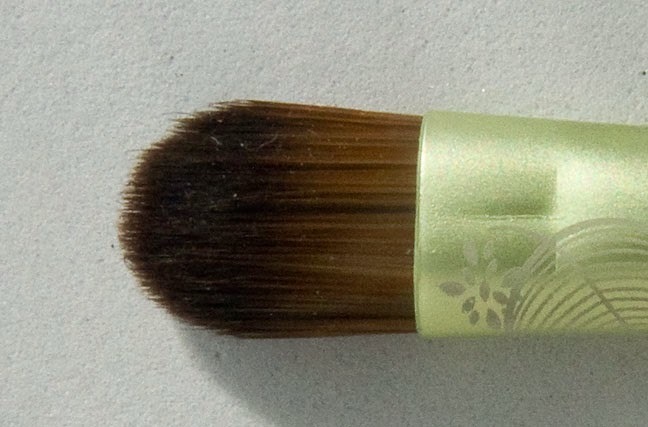 Buffing Concealer brush is a mini round and flat top kabuki mash-up. 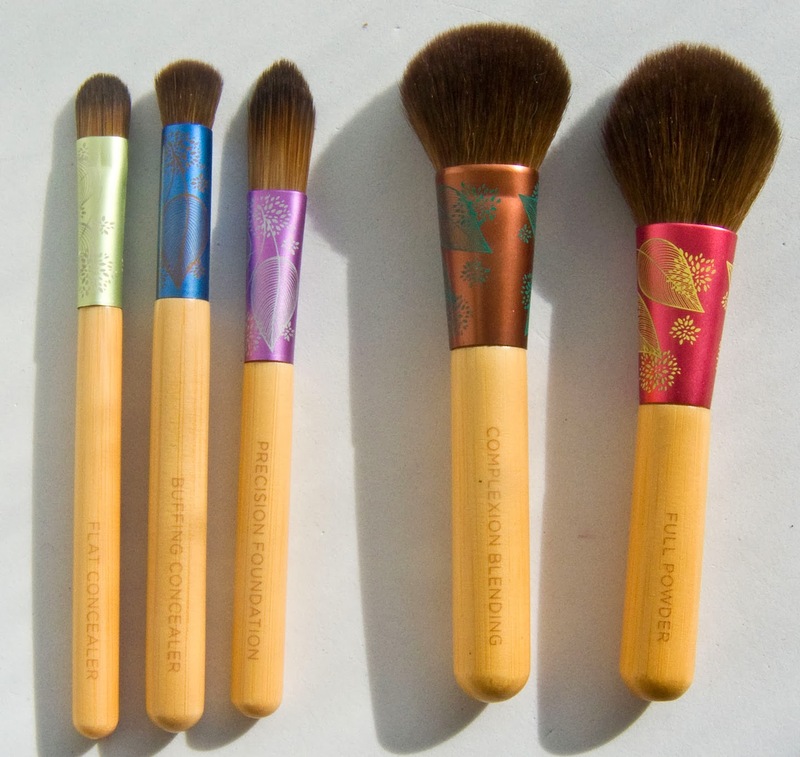 I work wonderfully to buff out spot concealer (much like the Precision brushes from Sigma). The tips are soft and the fiber are textured for grabbing product. 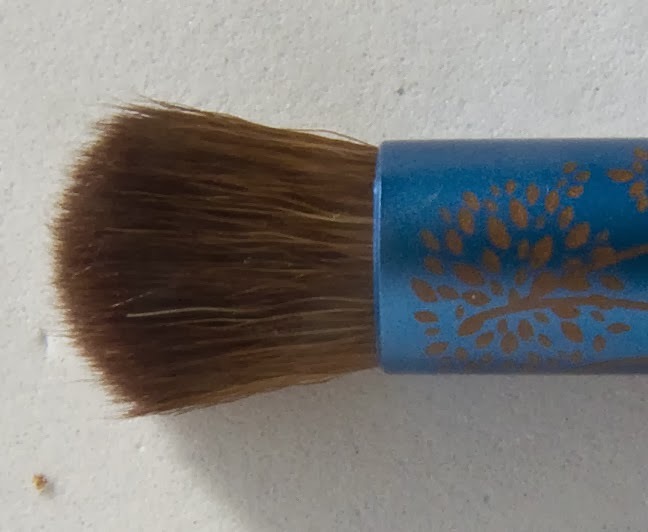 Precision Foundation brush is a rather long point filbert style brush. 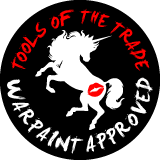 I best use is as a foundation detailer brush around tight corners. It would take forever to apply you foundation with this one due to it's size. The tips are soft and the fiber are smooth for cream products. Complexion Blender brush is so cool! I wish they sold this one separately. 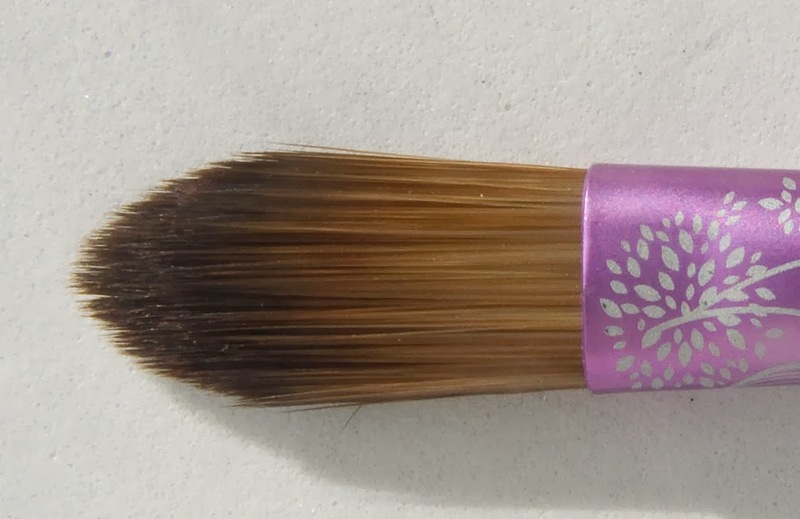 It's a dense small paddle brush which you can use to apply cream or powder blush, contour, and highlight based on where you apply the product to the brush. 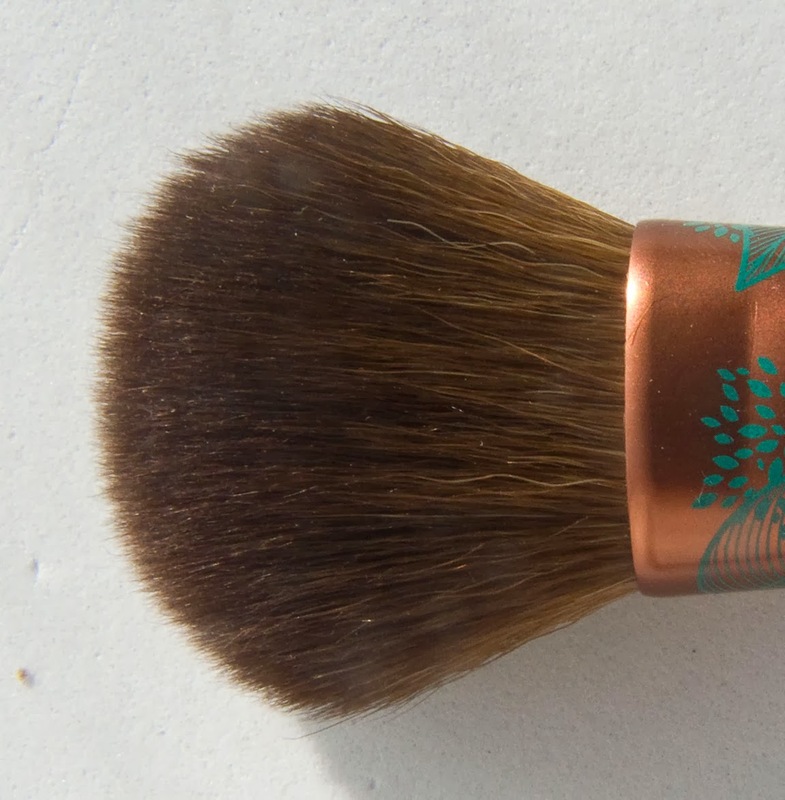 You can use that brush to both lightly dust one product or buff it out. The tips are soft and the fiber are textured for grabbing product. 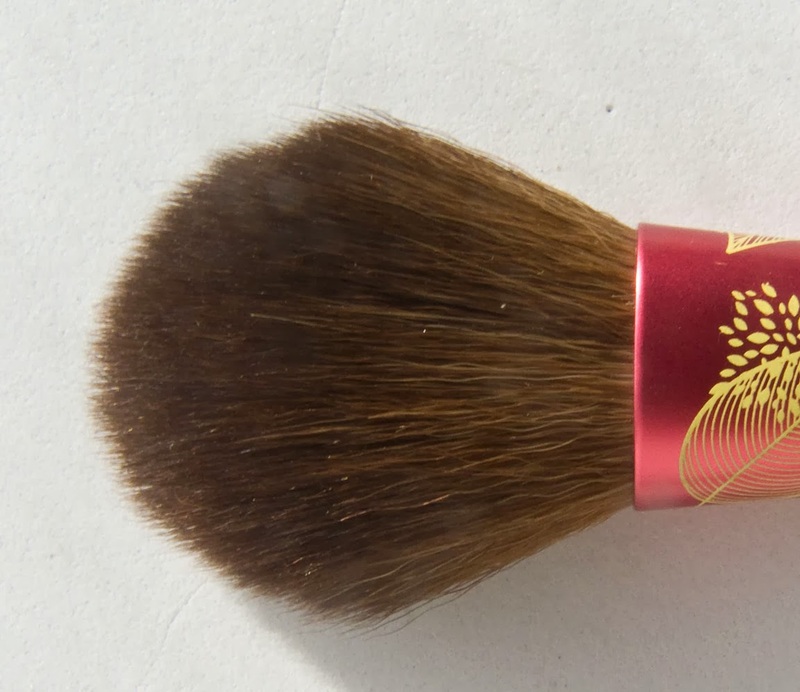 Full Powder brush is small basic powder brush. You can use it for setting powder but also small enough to work with applying blush to the cheeks. The tips are soft and the fiber are textured for grabbing product. 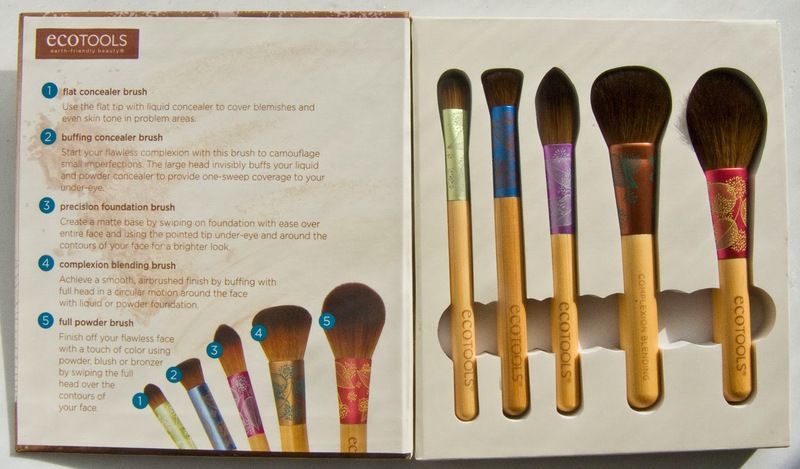 It the same bamboo used for the handles and the ferrules has this paint aluminium metal with a silkscreen pattern over them. 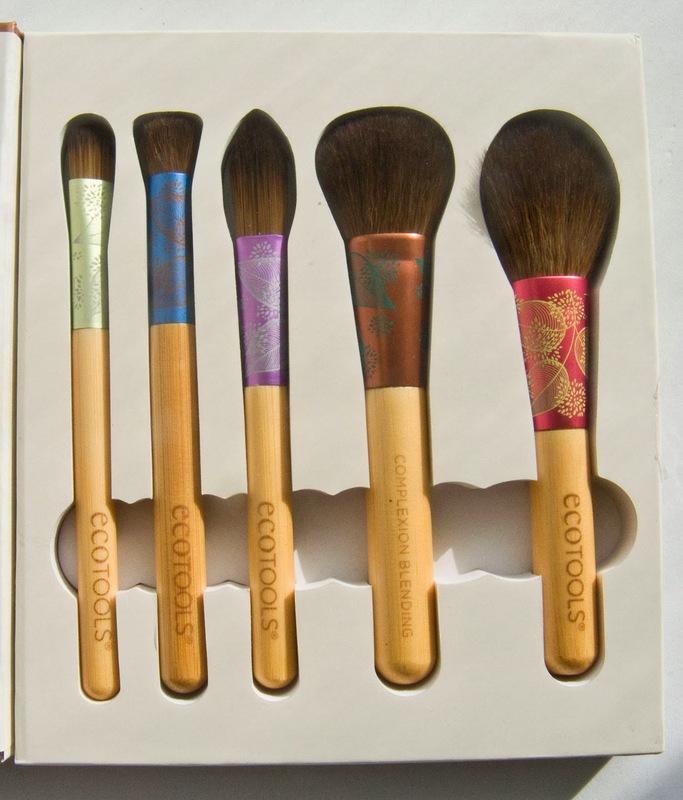 They're again using two type of bristle textures; Wavy textured ones the simulated animal hair for powder product use and smooth ones to work with cream product. The nice thing about synthetic hairs is that you can used them with any type of product however. I'm not in love with the point foundation brush but the other 4 make excellent travel and daily use brush to anyones brush collection. 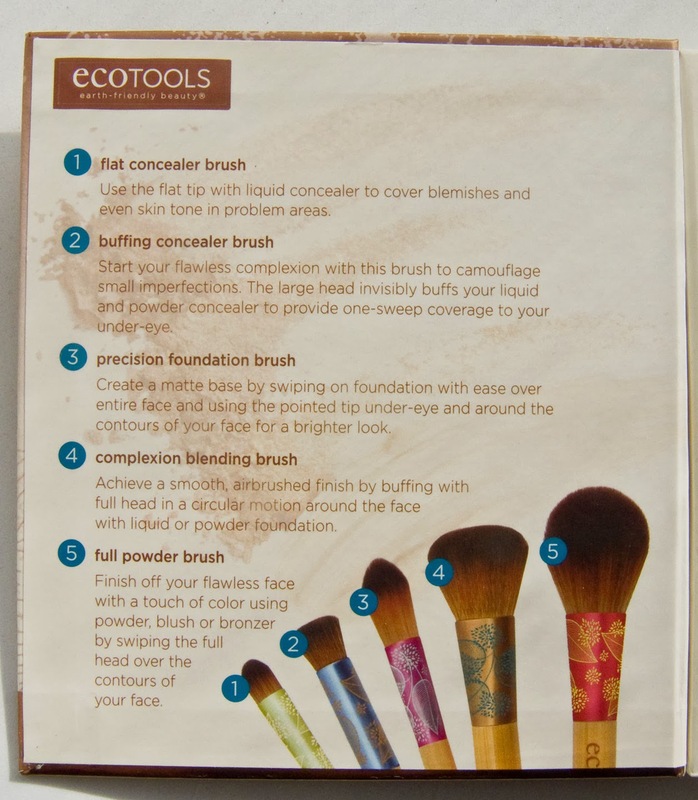 I love EcoTool brushes. Thanks for the review on this set.